There are many types of headaches from muscle tension headaches, migraine headaches, cluster headaches, sinus headaches, vascular headaches, and more. Headaches may have other more sinister underlying causes? In these cases, an MRI brain scan is in order to rule out other more life-threatening possibilities. It is rare to see a tumour headache, or cerebral artery type headache (life-threatening headaches), in regular practice. Chiropractors are trained in differential diagnosis and we always keep the patients safety and wellbeing in mind all the time.The typical headaches seen day to day in a doctor’s office are non life threatening and entirely treatable without major intervention. The typical headaches seen in a Chiropractor’s office are Migraines, sinus, muscle tension headaches, and nerve root irritation type headaches. Some headaches can be so painful that it seems that something is very wrong inside the head, but this is rarely the case, and I emphasise “doctors of Chiropractic are trained to recognise these people and refer to the specialist.” Remember this is rarely the case. Most common headaches are manageable with pills or effectively by Chiropractic conservative spinal adjustments. More likely causes of every day headaches can be from spinal bones in the neck that aren’t supporting your head properly. This can affect nerves, muscles and even the blood supply to your head. Research has shown that the most common types of headaches respond well to chiropractic care. The vast majority of even the most severe headaches are relieved when spinal joints are gently realigned by Chiropractic adjustments. We locate areas of the spine that aren’t moving properly and with specific pain free conservative adjustments realign and free the joints. Adjustments help normalise spinal function, help restore essential spinal curves, improve circulation and reduce nerve irritation. Chiropractic care and periodic checkups are useful ways of eliminating the most common cause of headaches (subluxation of neck joints). Headaches occur for a reason. A headache is your body’s way of signaling you that something is not right. Some of the milder headaches are the result of occasional “morning after” problems brought on by excess smoking, drinking or eating. Others may be the indirect symptom of eye strain, improper diet, hunger, poor lighting, excessive noise, constipation, foul air, daily pressures or infection, to name a few. 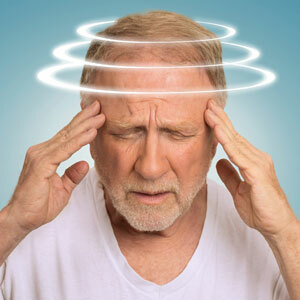 In rare cases, headaches can be attributed to organic conditions such as brain tumors or diabetes. Our examination process helps identify the most likely cause. Doctors of Chiropractic recognise that a headache is the body’s warning alarm that pain may also be attributed to muscle tension and irritation of the nerves and blood vessels in the neck. The seven cervical vertebrae (spinal bones) can become misaligned from excessive physical and emotional stress. This misalignment can irritate the nerve roots in the neck and may even cause minor constriction in some vessels which supply blood and minor constriction in some vessels which supply blood to the brain. When this happens, a headache can strike. once, twice, and again and again. If not cared for, more serious symptoms may develop. Chiropractic is primarily concerned with helping correct neuro’ musculoskeletal (nerves, muscles and bones of the body), often the source of a headache. We will perform a special spinal examination to determine whether the symptoms may be alleviated by chiropractic care. The examination can determine whether a headache may be caused, or aggravated by any misaligned vertebrae in the spine, a condition known as a subluxation, which may be creating undue nerve interference. Chiropractic care may help prevent unnecessary tension and/or irritation in the neck and head. In some instances, chiropractic adjustments (specific spinal manipulations) can provide immediate relief for headache sufferers. Studies of headache patients who were treated with chiropractic adjustments over a period of time revealed marked improvement. The common migraine had all but ceased, and there was an overall marked improvement in nearly all other cases. Every headache sufferer is an individual case and may require special instructions or recommendations from their chiropractor. If your condition requires the attention of other health care specialists, we will refer you to them.